In our last post, we talked about how to deploy what I referred to as logical networking. 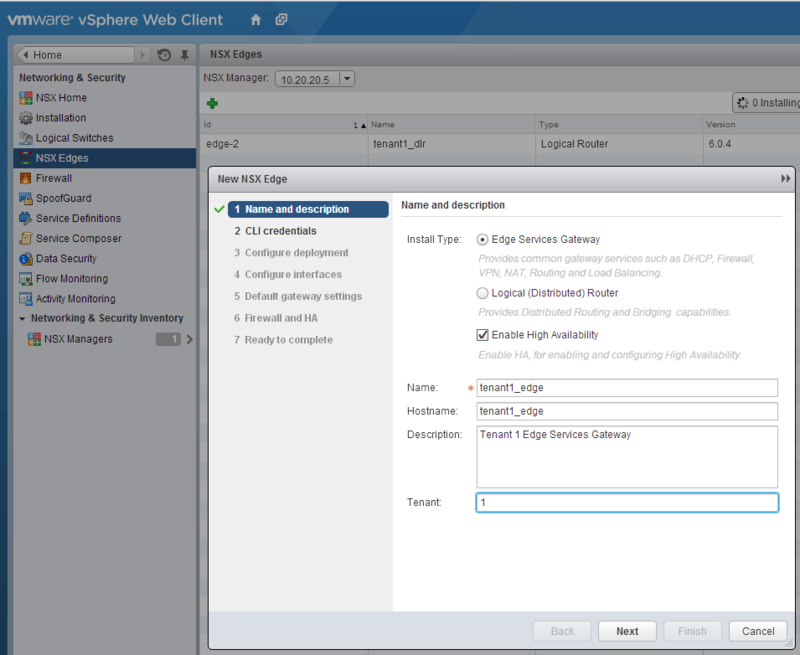 I classify logical networking as any type of switching or routing that occurs solely on the ESXi hosts. It should be noted that with logical networking, the physical network is still used, but only for IP transport of overlay encapsulated packets. That being said, in this post I’d like to talk about how to connect our one of our tenants to the outside world. 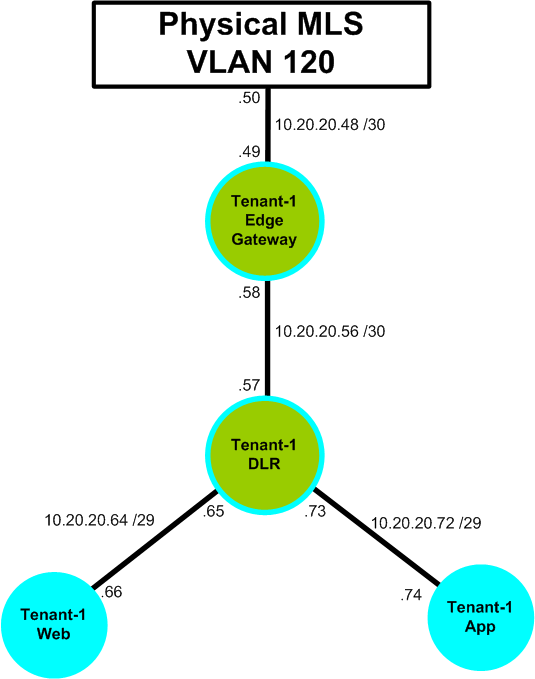 In order for the logical tenant network to talk to the outside world, we need to find a means to connect the logical networks out to the physical network. 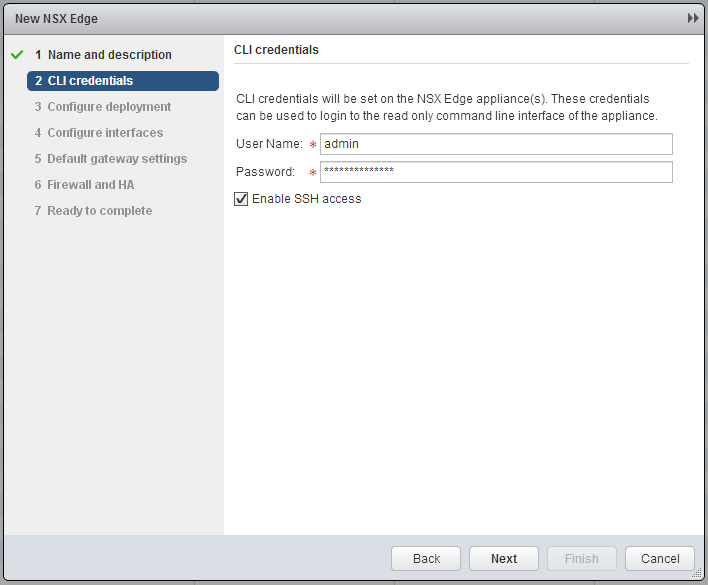 In VMware NSX, this is done with the edge gateway. The edge gateway is similar to the DLR (distributed local router) we deployed in the last post, however there is one significant difference. The edge gateway is in the data plane, that is, it’s actually in the forwarding path for the network traffic. 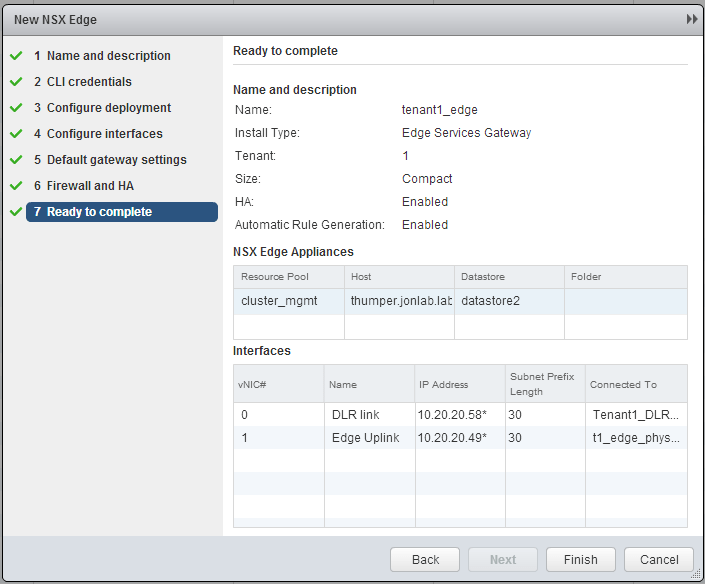 Note – I will sometimes refer to the edge services gateway as the edge gateway or simply edge. 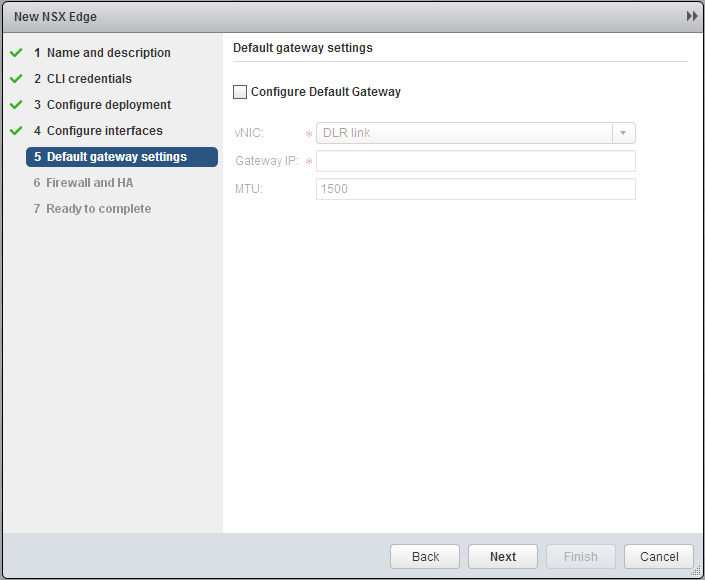 Despite both the edge services gateway and the DLR both being considered ‘NSX edges’ I will not refer to the DLR as an edge for the sake of clarity. But they don’t have you confirm the password. Make sure you type it correctly! The click ‘Finish’ to kick off the configuration! 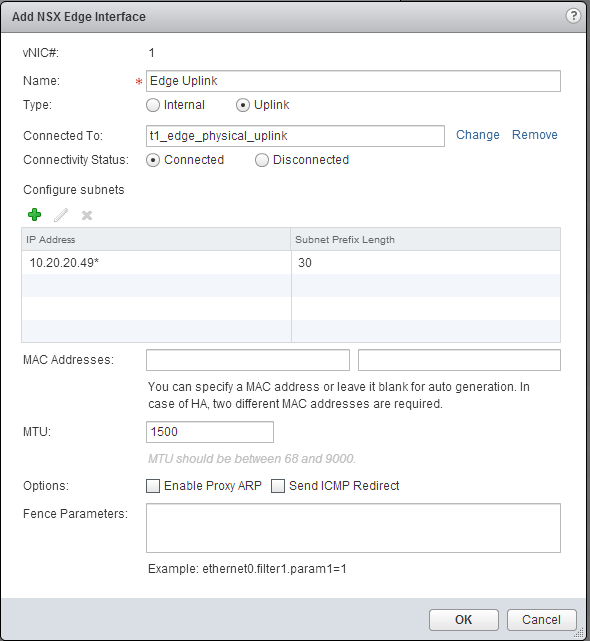 1 – My traffic sourced from the IP of 10.20.30.41 hits the MLS which does a route lookup and determines that to get to the App server (10.20.20.74) I need to route to the edge gateway (10.20.20.49). My traffic enters VLAN 120 through the VLAN interface on the switch. 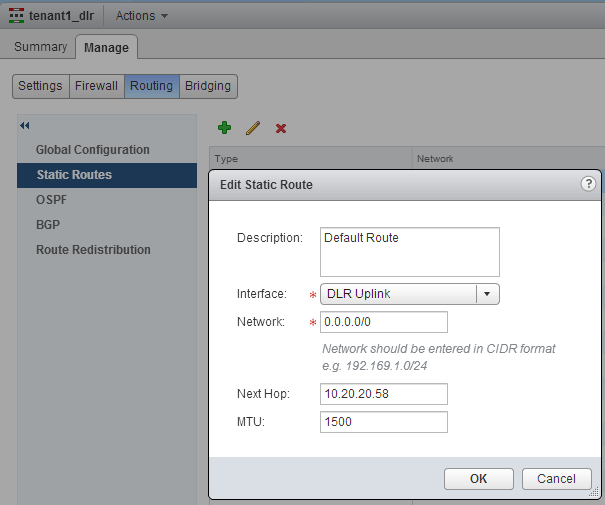 3 – The edge gateway receives the traffic, does a route lookup, and sees that it has a route for 10.20.20.72 /29 pointing at the DLR interface. 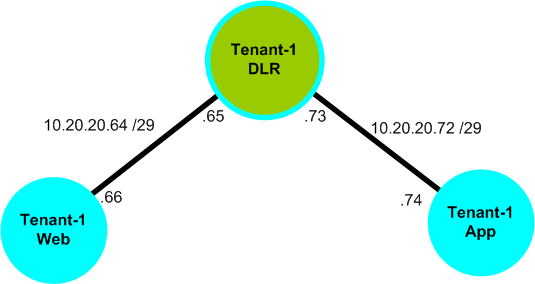 Recall that the DLR is local to each host so the edge must now send the traffic back out to the physical network to get to the correct host. 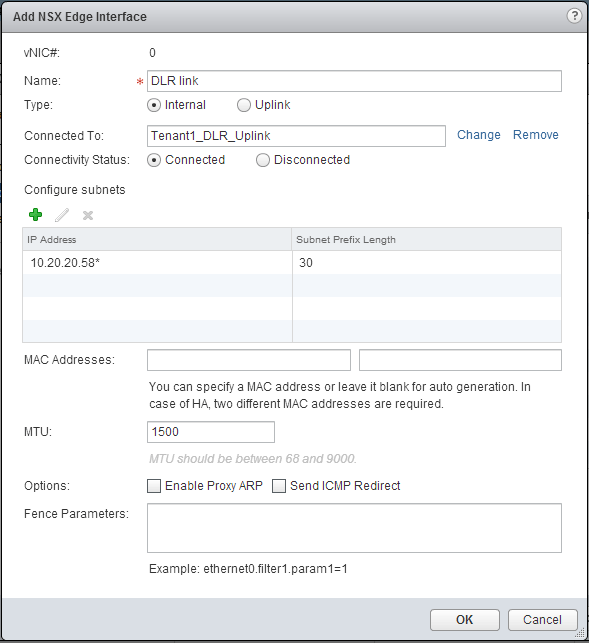 4 – The traffic first encapsulated in VXLAN, and then in the dot1q header for VLAN 118 leaves the host and returns to the switch destined for the VTEP of Thumper3. 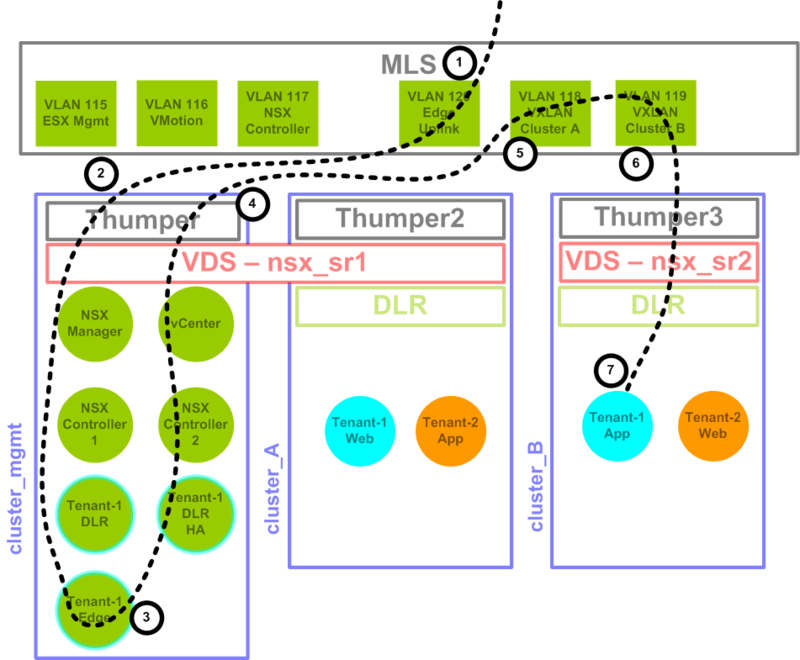 6 – The traffic leaves the switch encapsulated in a dot1q header for VLAN 119 destined for the VTEP of Thumper3. 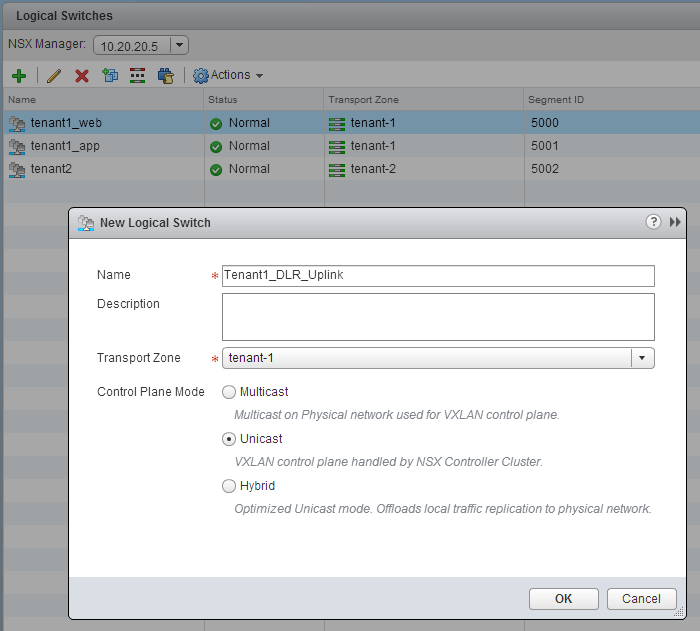 Step 6 – The VXLAN encapsulated packet leaves the switch interface destined for the VTEP of Thumper3. 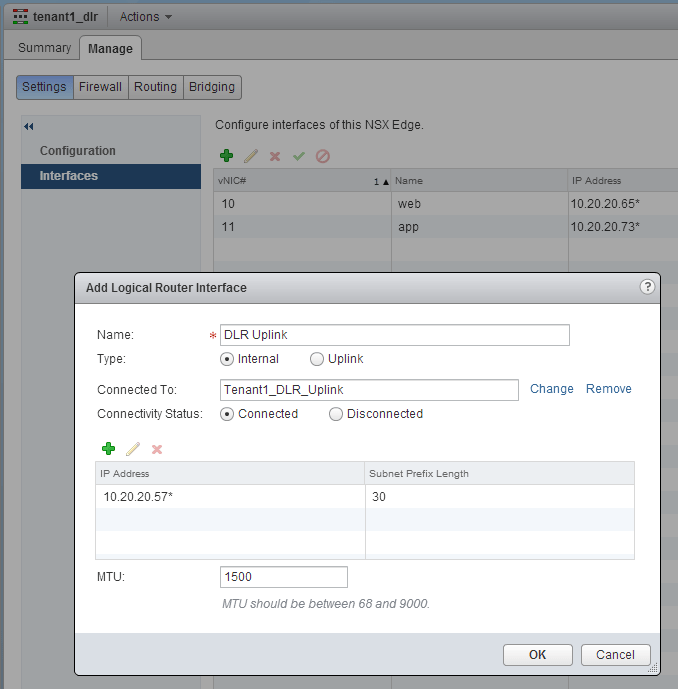 Note that external layer2 header lists a destination of the Thumper3 (VMware) VTEP interface and we can verify this by seeing it’s leaving the switch tagged dot1q on VLAN 119. Pretty cool huh? 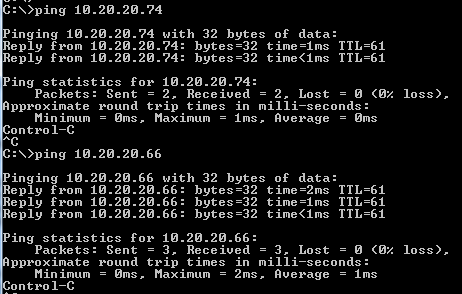 A similar traffic flow would be seen in reverse as the VM replies to my pings with ICMP echo replies. So there you have it. 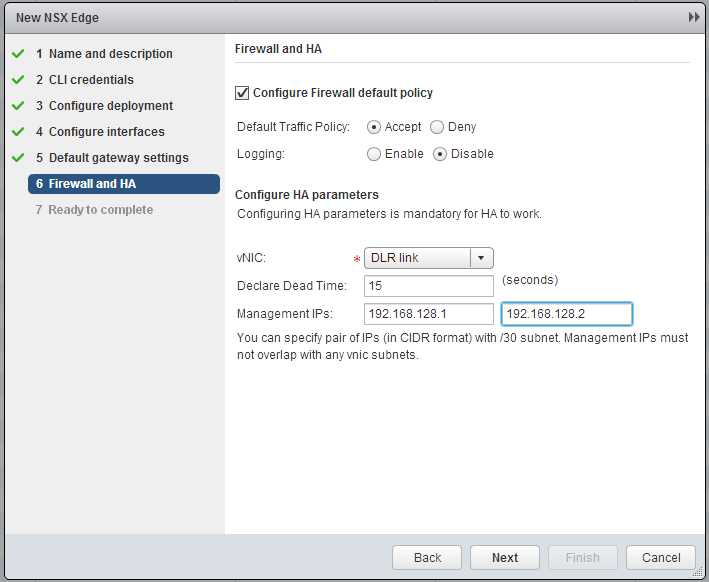 Over the last 3 posts we’ve successfully deployed NSX, created logical networks, and routed them out to the physical network. 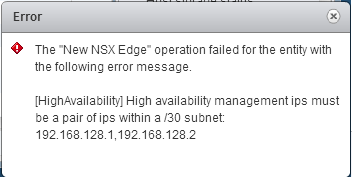 The primary goal of all of this for me was to see how NSX was using VXLAN and it seems to make good sense now. 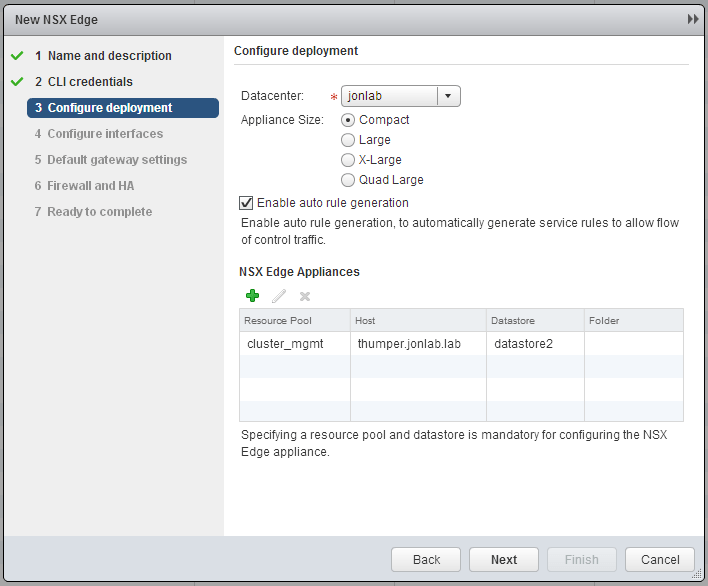 Hopefully later I’ll have more time to dig into some of the other features of NSX.